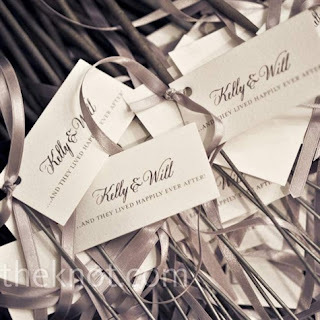 I don't know about you but I think party favors are pretty important. 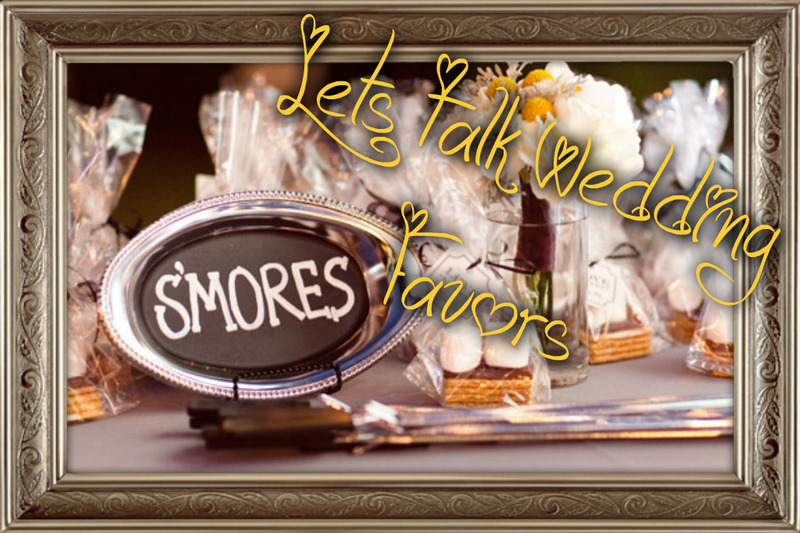 The best favor is a favor that actually has either something to do with the wedding OR something that is actually useful for each guest. Why would you spend money on something they are going to throw away? 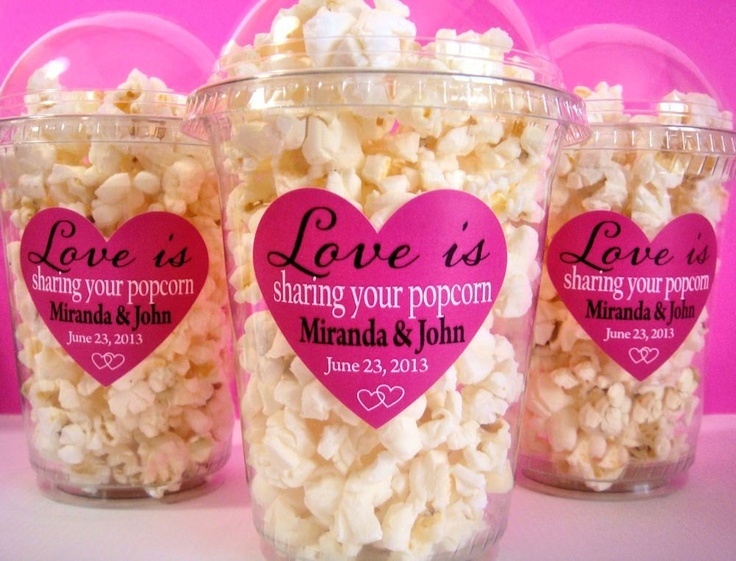 Obviously the party favor should go with the vibe of the wedding, here are a few cute ideas! This has to be one of the cutest little ideas I have ever seen and honestly...who doesn't love popcorn?? You can incorporate obviously a cute little message for your guests to make it your own. I mean, your wedding day should be like a movie right?? 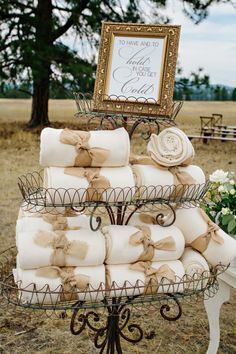 If you are thinking of having an outdoor wedding and it's a bit chilly outside, offer your guests cute cozy blankets, that way they will enjoy the wedding as much as you are. 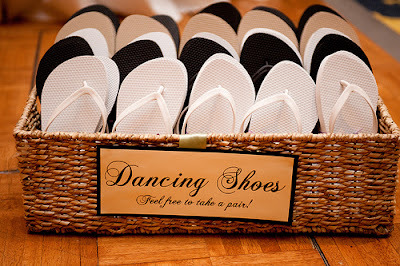 Plus, this is a great example of a party favor that won't go to waste. 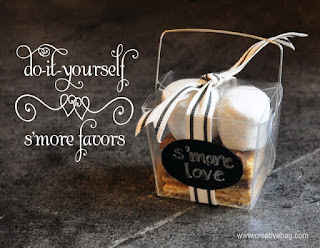 DIY s'more FAVORS! Absolutely lovin' this idea. It does not cost an arm and a leg to get done, it is delicious and super simple to create. This can honestly go with any theme, as long as the stationary is done correctly. This is the cutest and most romantic party favor of all. Although it only last like 15 seconds at most, when everyone lights them up together the pictures will be priceless. Plus it is a very fun addition to the reception. 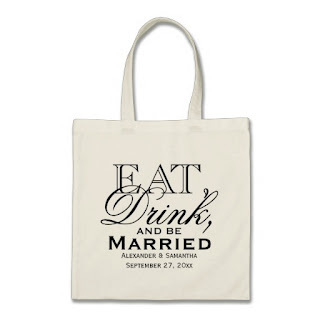 This Party favor is so 2015! I love the idea. There is nothing more annoying than to be at a party and have to sit down because your feet are in excruciating pain. This can ensure that your guests will be partying ALL NIGHT LONG. 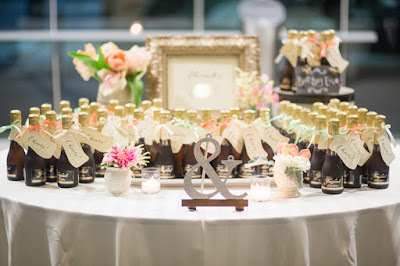 This is another modernized party favor that I've seen to be a nice touch. 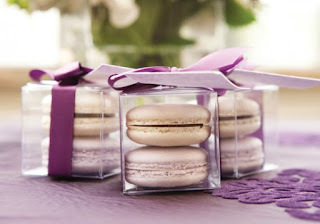 Macrons have made a big hit this year in the wedding favor industry. There is no better favor than snacks for the tummy! Finally, you can never go wrong with a cute tote bag. Personalize it to make it your own. It is usable, durable and a great memory to keep!